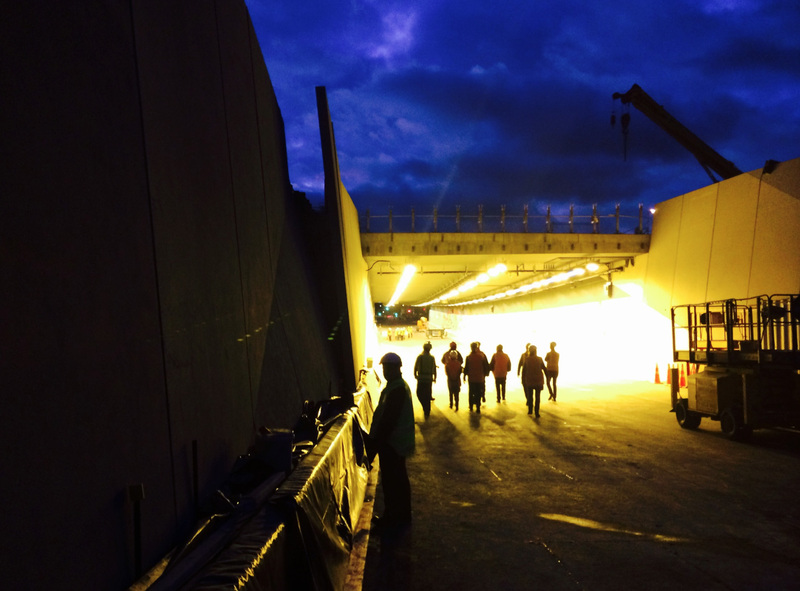 The Governor-General, the PM and some other minor celebs had a wee jaunt through the new Arras tunnel the other day, only to discover a bunch of strange growths on the walls. Big, red, and very discular. Looks quite nice though… A friend of a friend sent through these photos later, which shows things off quite nicely. Taking the theme of Rememberance into a tunnel is a new one for me – and cleverly named for the Arras region where the kiwi diggers holed up underground, building resistance. Bravo for a fresh, modernist take on the simple symbology of a classic icon. Hats off in Rememberance for the fallen ones, more fully acknowledged up above, without the passing cars. That Finlayson bloke was there too, insisting on driving through the tunnel and loudly proclaiming that he was first. It seems nobody had the heart to tell him that there had already been several thousand vehicle movements on site, with all the builders and constructors on site. But it was a big flash event. All the glove puppets of Cameron Slater were there… along with other puffed up little shits. Such an occasion! Thankfully, those of you not appended to the official Press Corp, or should I say, Press Corpse, will be able to have a walk through on the public Open Day at the end of September. This will be the one time when you and I and the rest of us will be able to walk along the pathway – past the desolate abandoned end of the once-upon-a-time Flyover, down into the depths of the hole, following the white rabbit, until you pop up on the other side. 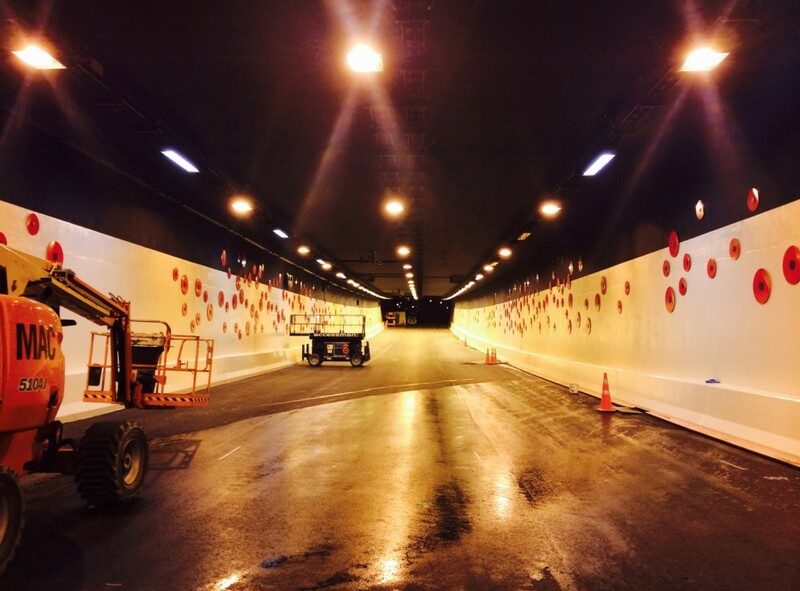 It’s not a long tunnel really – in fact, it’s not a tunnel at all really, it’s a cut and cover underpass, resplendent in three rows of ceiling mounted lights, these poppies on the wall, and 800mm of concrete all around, in the most expensive road works this country has seen since Lake Manapouri (unless you’re counting Waterview, which really takes the cake). Of course, while these large scale poppies have been designed for passing by at speed, with a bit of luck you may be able to see them close up again. 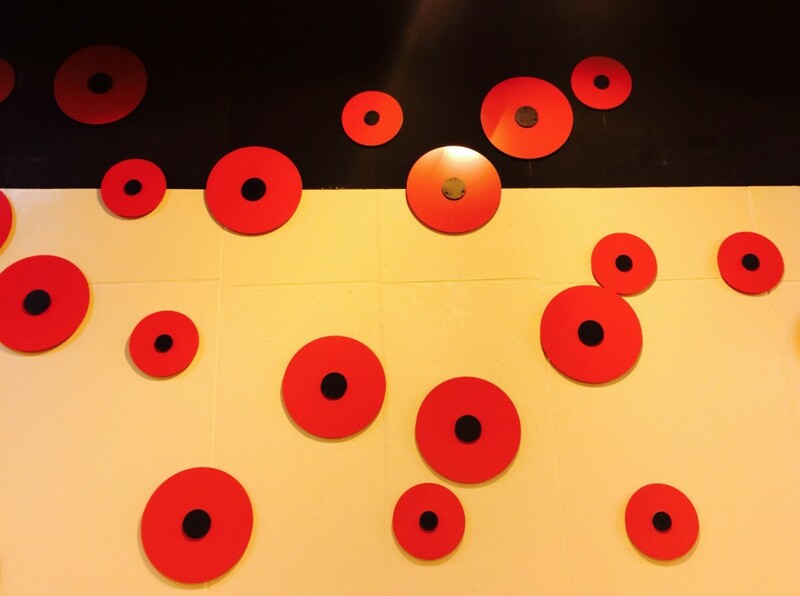 There is a good chance that most of the time you go through the tunnel at peak hour, the traffic will be standing still, and you’ll be stuck there, staring at the poppies on the wall. Please try and resist the temptation to get out of the car and pick one. The people at NZTA and MCH (and yes, even the Govt) should be thanked for this tunnel and the ability to create the park above. Overall it will make a great improvement to Wellington’s streetscape and cultural capital (sorry for the pun). Personally, I’m really looking forward to going for a hoon through the new tunnel. Our old route of down Kent, round the Basin, and up Cambridge is getting a bit stale. A bit of a blast through the tunnel will be choice. Public Walk-through on 27th from about 11-2? And then open to traffic from the 29th. Never to pass above ground again…. And I believe it is now open for traffic tonight.